Gartner has released its annual Magic Quadrant for Content Services Platforms, which provides insight into the trends, use cases and emerging technologies of the content services landscape, as well as unbiased analysis of vendors and their progression to meet changing business needs. Laserfiche is once again recognized based on its completeness of vision and ability to execute. 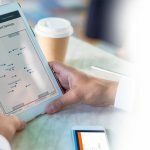 The new report represents the evolution of the Gartner Magic Quadrant for Enterprise Content Management, which recognized Laserfiche for eight consecutive years before the change. We believe our placement as a Challenger in this Magic Quadrant underscores our commitment to our users and dedication to continuous innovation. Today’s business landscape requires organizations to be efficient, agile and flexible to stay competitive. We have long held that organizations need more than the ability to manage content in order to meet these requirements, which is why we continue to innovate offerings including business process automation, records management, electronic forms, and reporting and analytics. We have deep knowledge of verticals and horizontals that enables us to deliver low- and no-code solutions that meet customer needs. Laserfiche Workflow empowers customers to automate business processes, create and enforce compliance policies, and measure success by using configurable, easy-to-use reporting tools. Our continued growth has enabled us to invest in expanded R&D resources, highlighting our commitment to anticipating and exceeding customer expectations. We have introduced flexible pricing models, including temporary users for peak activities, and intuitive solutions to help customers migrate from legacy systems. 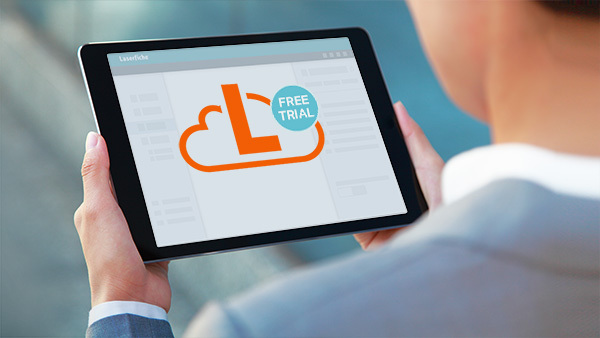 Laserfiche integrations give users the ability to unify multiple applications with a wizard-driven integration tool, or use a flexible software development kit to create sophisticated solutions tailored to specific business needs. Our customers remain at the heart of everything we do. This extreme customer focus inspires us to create software that people love to use, and is reflected in our customer feedback. On Gartner Peer Insights1, customers give Laserfiche a 4.7 average rating out of 5.0 for the Quality of Technical Support based on 35 reviews (as of Nov. 19, 2018). Laserfiche is more than a technology vendor—we are a strategic partner in our customers’ digital initiatives. Even as the terms and landscape change, we remain committed to delivering and enabling our customers’ digital transformation. Read the complete, complimentary 2018 Gartner Magic Quadrant for Content Services Platforms report. This graphic was published by Gartner, Inc., as part of a larger research document and should be evaluated in the context of the entire document. The Gartner document is available upon request from Laserfiche.